Ju-Hi Jin joined our team in late November. You may already have spoken with her over the phone or corresponded with her via email, so we thought we’d share a little bit more about our new(ish) Office Administrator. Ju-Hi is a social work and law student at the University of New South Wales. 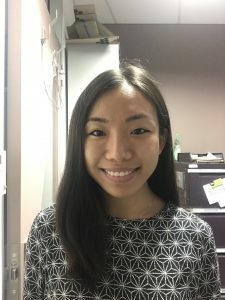 During her studies, Ju-Hi has demonstrated an interest in social justice through her involvement with several community legal centres. For example, Ju-Hi volunteered at the Shopfront Youth Legal Centre, completed a social work placement at Marrickville Legal Centre, an Aurora Project internship with the Sydney Story Factory and a social justice internship at the Diplomacy Training Centre. Ju-Hi also volunteers at the National Children’s Youth Law Centre, providing legal information and advice to young people, and at HansenLegal, offering social work and legal support for clients that have been granted pro bono assistance from the Law Society of New South Wales. Ju-Hi is looking forward to learning how to promote pro bono services and culture from a broader policy perspective.